Thanks to the new helicopter detector from Recco, it is now possible to locate missing persons more quickly. Therefore we have designed, together with the mountain rescue and the company Recco a mobile phone protective and insulation cover with a Recco reflector. On the one hand, the Tirol Wool Insulation keeps the battery warm and functional for longer and on the other hand, missing persons can be located and recovered more quickly. 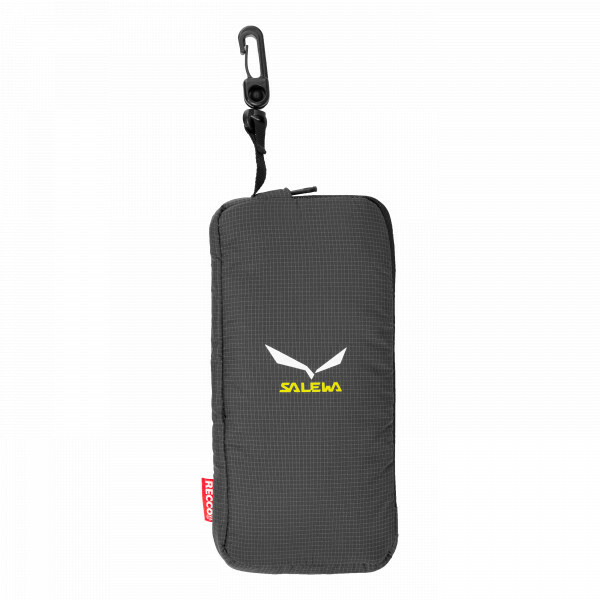 The mobile phone protection cover is water-repellent on the outside with light polyamide Ripstop. A small safety carabiner ensures that the cover is not lost. The Recco reflector is located inside at the bottom of the bag in a sewn-in tunnel. Size_Backpack: INTERNAL "155x77x12mm" / EXTERNAL "165x80x16mm"
Nice product but when not in the pocket, the cold still reach the phone and can make the lithium battery flip but definitely increase the resistance.